Speaking of houseplants, since most of mine summer outdoors they get frequented by a lot of insect life. Many are non-descript, most are difficult to photograph, but occasionally I manage to digitally capture a few! These two aren't ones gardeners particularly want to see, but hey. They were there, I was there, my camera was there. 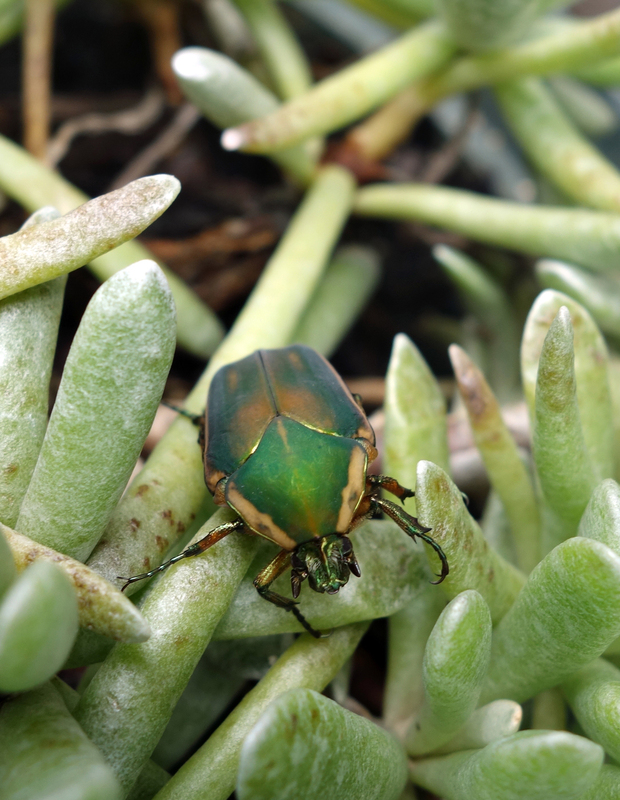 Behold the green june beetle, Cotinis nitida, and the Japanese beetle, Popillia japonica.